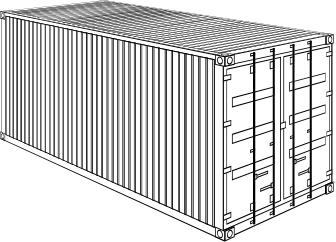 20' Standard40' High Cube X 96''40' Standard X 96"45' High Cube X 102"45' High Cube X 96''45' Standard' X 96"48' High Cube X 102''48' HUBU Premier Service Network 48' HUBU X 102"53' HGIU Premier Service Network 53' X 102"53' High Cube X 102''53' HUBU Premier Service Network 53' X 102"53' HUNU Premier Service Network 53' HUNU X 102"
Cargo Capacity: 1,169 cu. ft. The equipment specifications shown above represent those most commonly found in the industry. Maximum lading weights are subject to federal and individual state highway laws and will vary according to the specifications of the tractor and loading pattern of the freight.